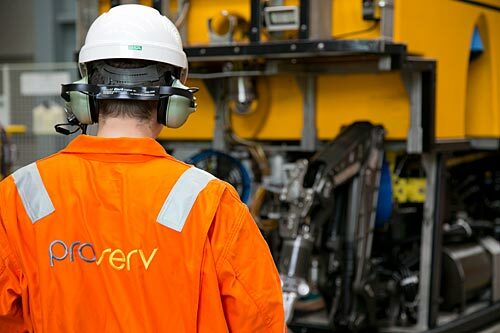 Energy services company Proserv has been awarded a series of contracts worth around USD 4 million for its well severance, platform and FPSO decommissioning services in the Asia Pacific region. The contracts have been awarded by Premier Oil in Indonesia; Chevron, through Baker Hughes, in the Gulf of Thailand; BHP, through Fugro, in Western Australia and by PCPP Operating Company, through Sapura Technology Solutions Sdn Bhd in Malaysia. As part of the project work-scopes, Proserv will provide abrasive cutting, cold cutting and dredging services using its wide portfolio of field-proven products and technologies. The company will also develop custom tooling solutions, which is core to Proserv’s expertise, to support client engineering and decommissioning challenges. These awards build upon decommissioning successes for the company globally in recent months with around USD 12 million worth of work secured in Asia Pacific, the UK, Scandinavia and Gulf of Mexico. The contracts come at a time of strong investment and development with the company currently investing more than $2million to develop two new multi-string cutting (MSC) systems for well severance campaigns, to meet market demand. Proserv is a technology-driven company providing products, services and bespoke solutions to clients across the drilling, production and decommissioning market sectors. Operating worldwide through 22 operating centres based in 12 countries, the company has won a string of industry awards over the years in recognition of its achievements.